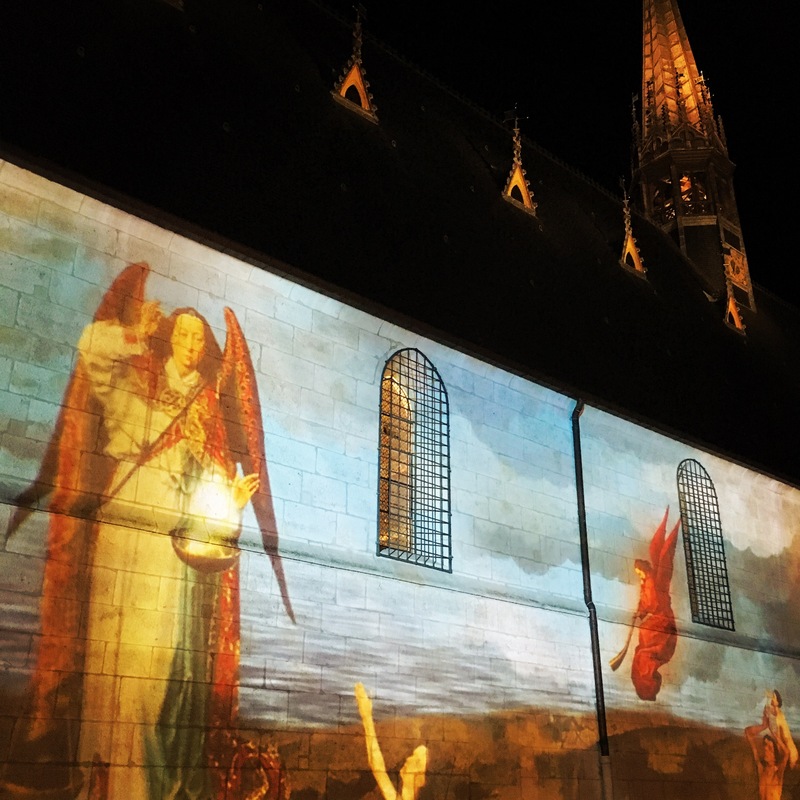 There has been a good deal of change recently with the Labruyère family – moving into Bordeaux and Champagne from their Burgundy base, and causing quite a stir at the same time. But it is the improvement in quality of its portfolio of wines from Domaine Jacques Prieur that has been owner Edouard Labruyère’s main focus, losing the concentration and rusticity that the wines had become known for and, instead, imposing a terroir-driven philosophy on his winemaking team. 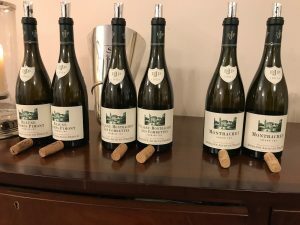 It has clearly been a hard-fought battle to change the direction of the winery but the six wines tasted from the past decade at Domaine Jacques Prieur are showing a much greater refinement and focus. Mate, slow down, this is gold. 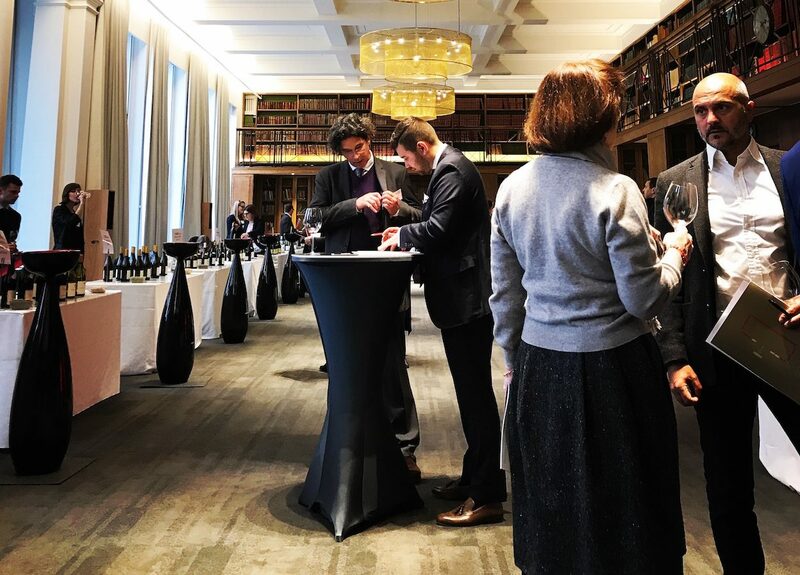 Trying to get it all down, taste the wines, take photos, eat lunch, take part in conversation and try and guess what a blind-tasted mystery bottle of wine was – not altogether as easy as it sounds. I know… First World problems. Lunch was held at the head offices of Corney & Barrow, which is surely the poshest place to eat in Tower Hamlets. I’m not sure there were many places in that London borough serving langoustines flown down by jet in little langoustine-size couchettes, lightly killed and poached with freshly-made pasta. 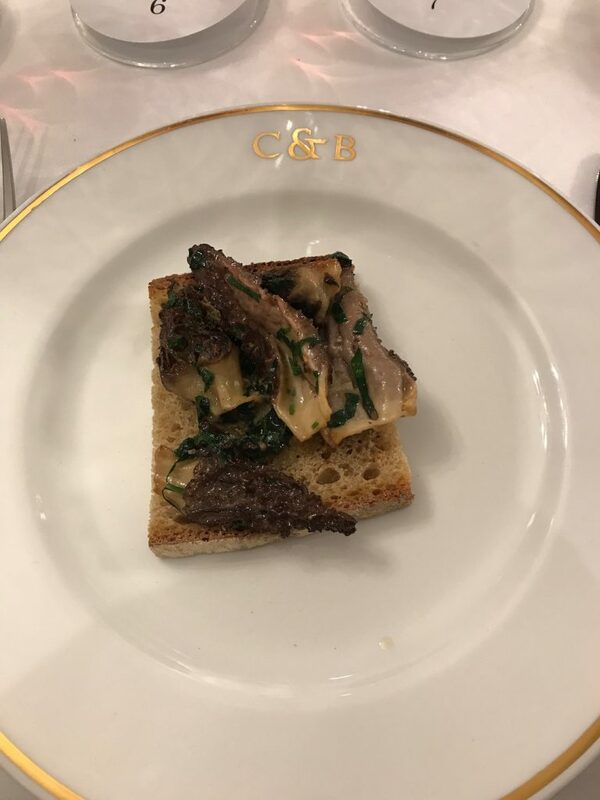 Nor indeed many people tucking into fresh morels on toast. Before lunch Labruyère serves Prologue, the family’s first foray into Champagne production. 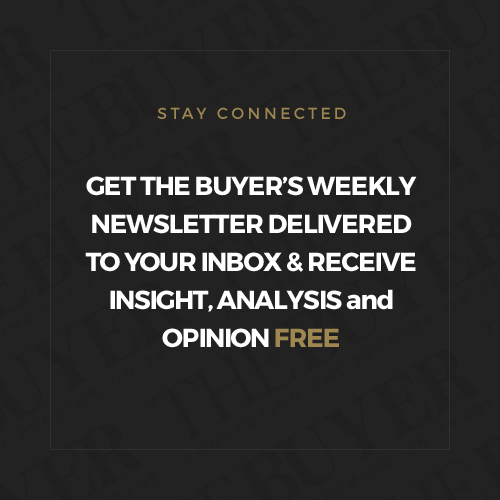 Labruyère admits that he is not afraid to stir things up and be a disrupting influence. 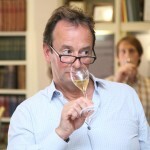 But then if you are from Burgundy and you are going into the region to make a Champagne that goes with the territory. “I thought it was hard being the first Burgundy family to be buying in Bordeaux but the first to be buying in Champagne Whoooaaa! !” he grimaces. Since 2008 when he was given the reins of the business, Labruyère has been actively improving the output of the family’s three main estates – Domaine Jacques Prieur, Domaine Labruyère in Moulin-à-Vent and Château Rouget in Pomerol, an estate the family acquired in 1992 – as well as growing the reach and influence of the business. He has also overseen the acquisition of six hectares of Grand Cru vineyards in Verzenay and the formation of J.M. 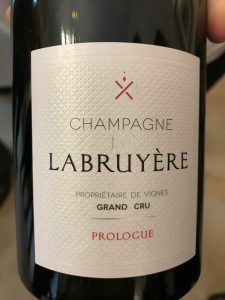 Labruyère Champagne. The vines they bought used to supply Dom Perginon, and from the first taste of Prologue its breeding is apparent. This Pinot-Noir dominant Champagne is of vintage quality although in reality 85% is from 2012, and 15% from 2010 and 2009. 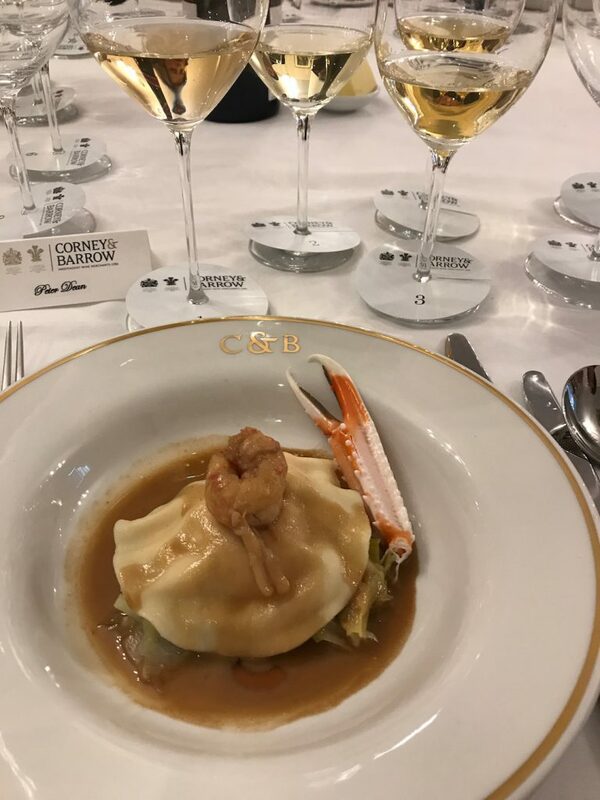 “We don’t want to be a House and we didn’t want to come into the market with a Vintage Champagne – that would have been far too posh,” Labruyère says. The wine is low dosage (3gms per l), and has a steady stream of fine, tiny bubbles – a result of the second fermentation having taken place in a very cold cellar – and a style Edouard is fond of. 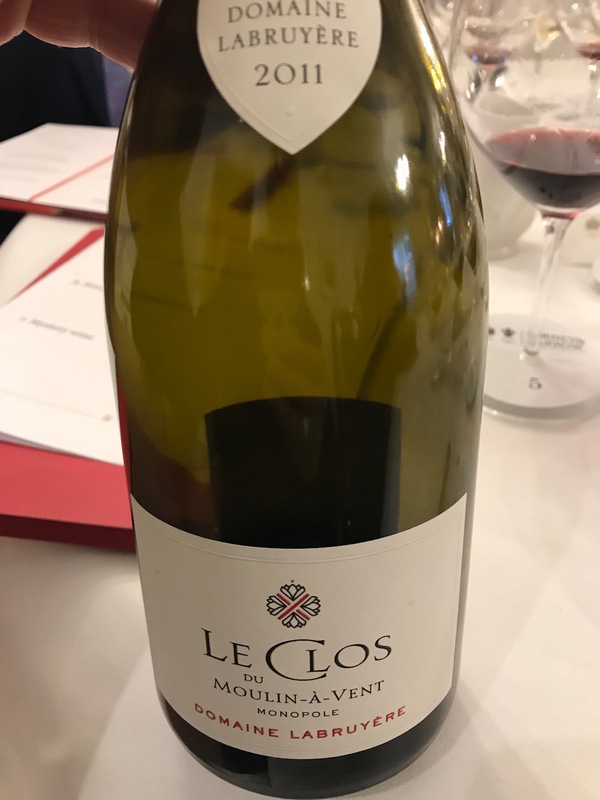 To taste, the wine has notes of freshly shelled almonds, baking lemon shortbread; it is terrifically clean and fresh on the palate with a smash of citrus on the finish. It has a complexity and depth you would associate with a vintage Champagne having spent five years on the lees (one of which in old DJP barrels) and six months in bottle after disgorgement, information that is all on the back label, other houses please take note. At £41.85 RRP it is extremely good value. 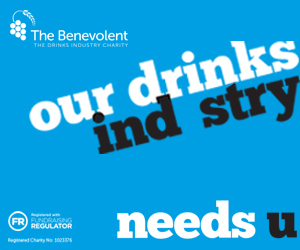 “We have created something completely new and we have done this with a completely different approach. I am really quite disruptive,” he says with a smile. 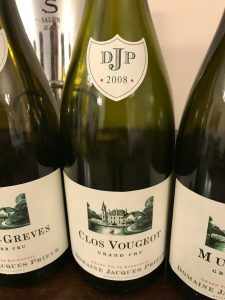 When it comes to the six Domaine Jacques Prieur Burgundies we drink with starter and main course, it becomes clear just how much the style of this fine estate has changed. And just how much Labruyère has had a hand in it. This is a wine estate owner who is clearly VERY hands on in all aspects of the winemaking and freely admits to steering Nadine Gublin the winemaker for the past 18 years into ‘changing her philosophy’. 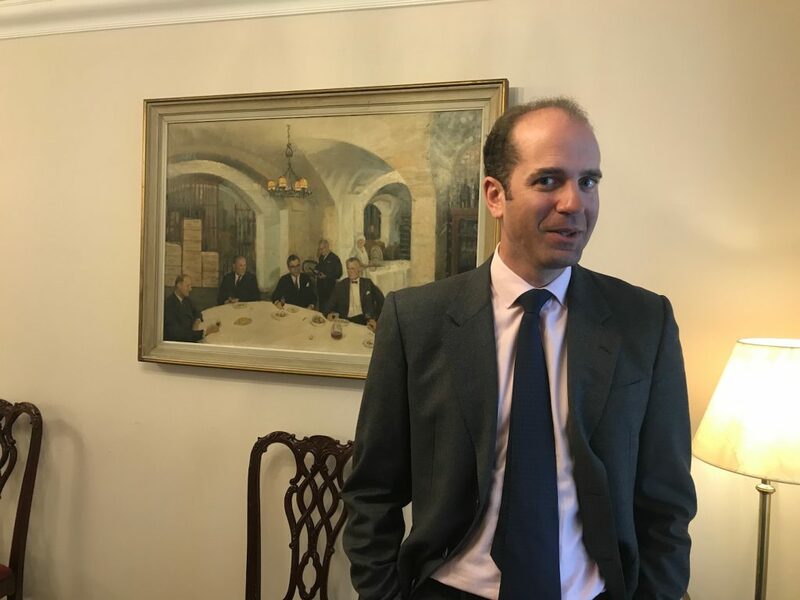 He explains that from 1988, when the family took ownership of the estate, until 2008 when he became the major shareholder, Domaine Jacques Prieur had no clear vision because there were too many shareholders and conflicts of interest. “20% of the estate was owned by 25 cousins,” he says. Where the wines used to be made with 100% new oak, lots of batonage, filtration and fining, now the emphasis is on respecting the terroir more. Yields have been reduced, the grapes are being picked less ripe than they were, new oak has been reduced to 20-50%, the winery is using between 9% and 15% whole bunch and they are migrating from 228 to 600 litre barrels. 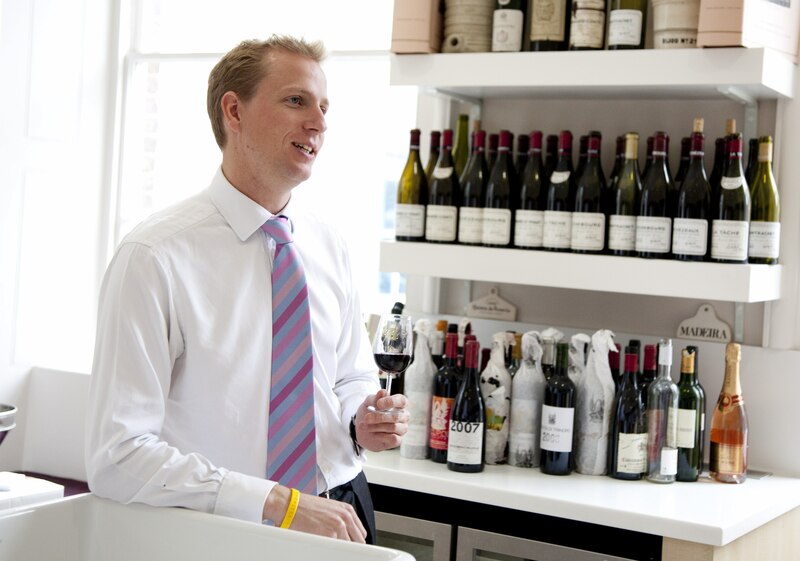 “It is about keeping the natural DNA of the wine,” he says. Fresh, clean, precise, citrus, savoury notes with a little hit of vanilla that is the oak acting like salt and pepper. Labruyère owns 3.5 hectares of this site. Distinctive as ever, this is more subtle with a more rounded fruit core, more tangerine peel than lemon. A difficult vintage with Labruyère picking 15 days before Lafon and the first vintage here to use 50% foudre and 50% barrel. Labruyère owns 1.5 hectares of this old vineyard that is Grand Cru by any other name. A tricky flowering season was just one reason 2011 was a hard vintage, another is that it followed 2009 and 2010. This saw 100% new oak but no batonage, filtering nor fining which were dispensed with in 2008. 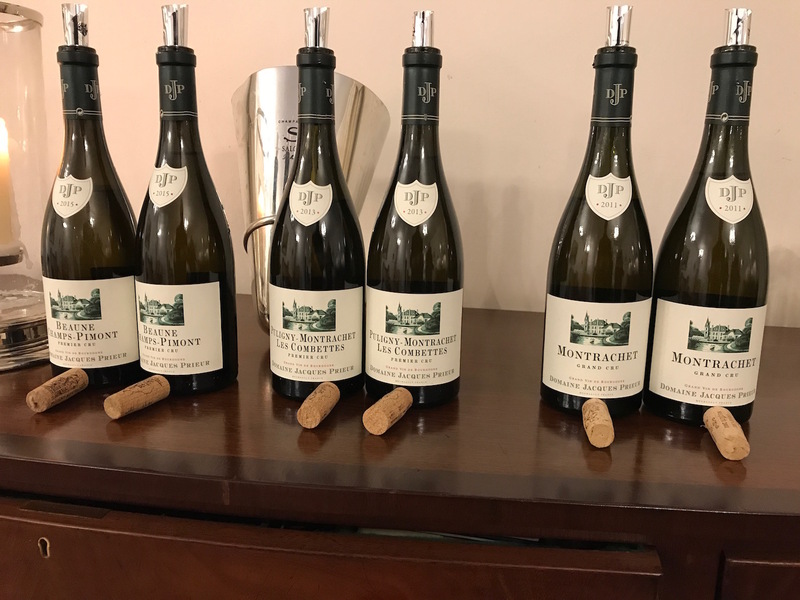 The wine, from one hectare on the Chassagne side, is spectacular: layered, rich, a smash of acidity. In fact it has the structure of a red wine. Labruyère calls it ‘Fort Knox’ “You don’t know where to enter.” He also says that since it was bottled in 2013 it has shown no evolution. One that will run and run. 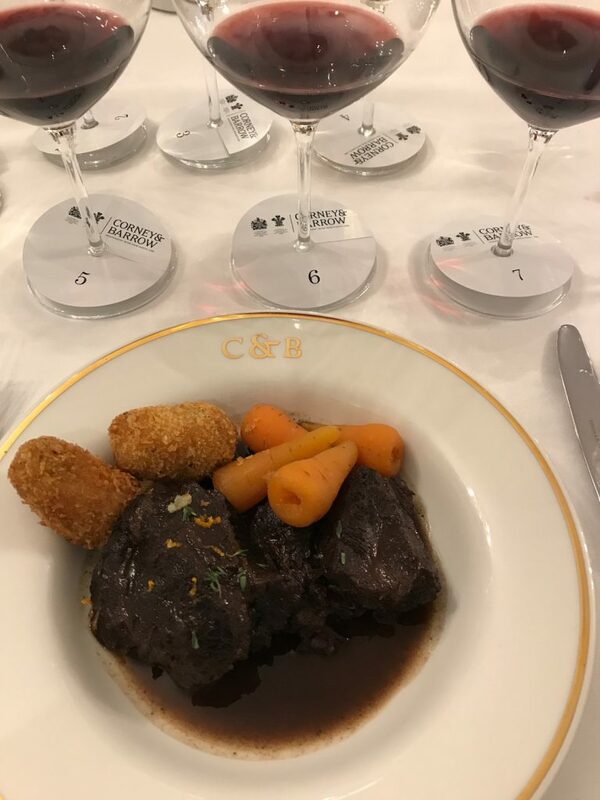 Then we taste the three reds with Daube de Boeuf, Chantenay carrots and croquette potatoes. From a sunny vineyard on the Eastern side of the appellation, where the fruit has been picked early. I loved the texture and primary nose of this wine which had notes of red cherry, mulberries. The palate had well integrated tannin, pretty fruit and a touch of verbena on the finish. Very good value. Proof, if required, of how far Domaine Jacques Prieur has come in the last decade in terms of elegance and refinement. This wine saw 20% whole cluster, light fining, no filtration, no batonage, plus lots of work in the vineyard which has paid off with a gorgeously bright, refined, light Pinot. 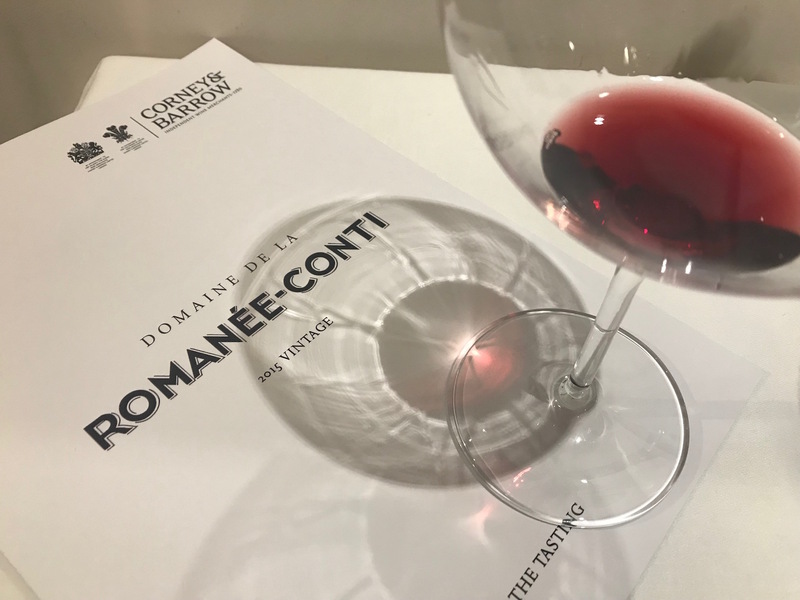 It does have its complexity behind well defined red fruit (the nose has more savoury notes with time in the glass) but it has none of the concentration or rusticity that we may have expected in this wine two decades ago. Drinking superbly well and will continue to do so. This was Labruyère’s first vintage and he says he shows it to people as an example of the estate’s new style. From the most Southerly part of Musigny, hence the delicacy in the wine. This is mouth-coating, fragrant, approachable, drinkable and has superb fine-textured tannins. So fresh, pure and focused. We then tasted the Mystery Wine alongside Fresh morels on toast (fantastic idea!). Tasted blind it was hard to think you were in Beaujolais or drinking Gamay, although there was a chalkiness/ wet stone quality to the tannin. On the eye the wine had a youthfulness and density that belied its seven years of age. The nose was pretty, with fresh flowers and a hint of mint. The palate of red and black fruit had ripeness and concentration in good proportion. The 18 months in used oak was almost undetectable, the tannins so well integrated. Bit of heat and viscosity made it feel more than its 13% ABV. 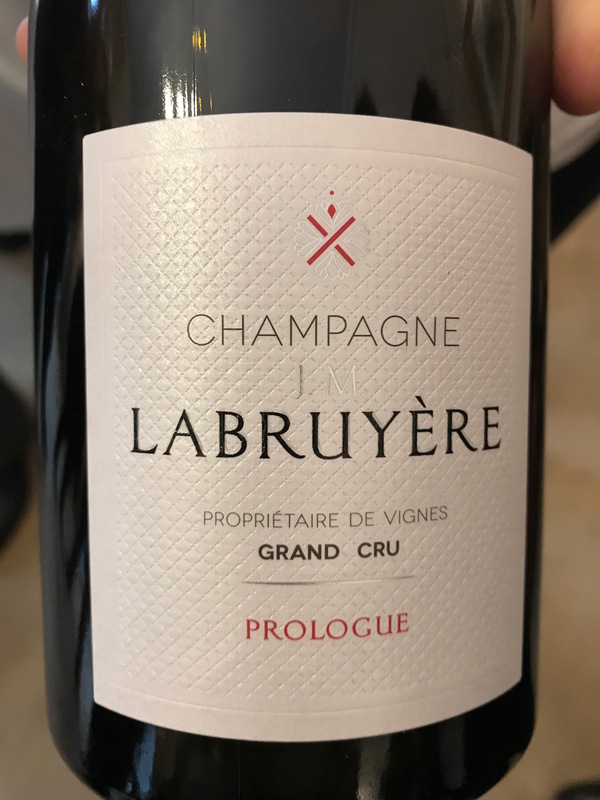 All of the wines tasted were of a very high standard and I shall watch Labruyère’s progress with interest.